Southern CT Women's Soccer League | The website for recreational women's soccer league in Fairfield and New Haven counties. The spring season will begin on Saturday, April 13. 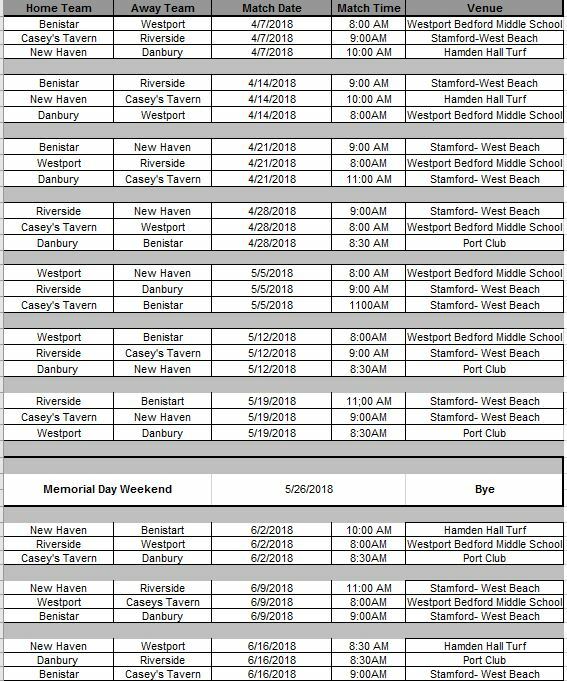 Games will be held on Saturday mornings in Stamford, Westport, Danbury, or New Haven. Registration will be open soon. Please visit the Registration Resources page for directions for individual registration and waiver forms. If you are interested in joining a team, please contact league president Jennifer Christos. Due to the weather, the games on Saturday, 10/28 are canceled. Make-up games will be held on 11/17. The games scheduled for April 7th will be played at the end of the season. The season will begin on April 14th.